There is no question that the best source from which to get your vitamins and minerals is by eating plenty of fresh fruit and vegetables, dairy, grains, protein and omega 3 rich fish. The fact is many families are on the go and busy and quite often the side of vegetables is not served at the drive thru and the only fruit you may get your kids to eat is a glass of orange juice. 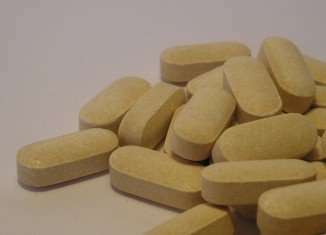 Whether or not to take a multivitamin, or any vitamin, depends on a number of factors. If you eat a well balanced diet that includes fruits, vegetables, fatty fish, dairy, eggs, grains and meat and alternatives then it is likely you don’t need an additional source of vitamins. If you are lactose intolerant, your kids are picky eaters, there are food allergies in your family or you are eating on the run more nights than you are sitting at the kitchen table, then there may be health benefits to taking vitamins. This list shows the key nutrients that should be a part of your families diet to maintain optimal health. If you know you are not getting these vitamins on a regular basis, then looking for a multivitamin that includes this alphabet on its ingredient list may be a good option for your family. Vitamin A for eyes, skin and immune system found in mango, sweet potatoes, carrots, spinach, and grapefruit. Vitamin B for energy and creating red blood cells found in peas, spinach, sweet potatoes, avocado, bananas and mango. Vitamin C for growth and tissue repair and stronger immune system from oranges, red peppers, broccoli, grapefruit and strawberries. Vitamin D for strong bones, teeth as well as nerves, muscle and immune systems found in eggs, dairy, chicken, beef and fortified juice and cereals. Vitamin E is an antioxidant important to boost your immune system and fight viruses and is found in spinach, blackberries, kiwi and raspberries. Omega 3s – Protect against heart disease, reduces symptoms of hypertension, depression, attention deficit disorder (ADHD), dementia, joint pain and boosts immune system. Found in fatty fish such as mackerel, sardines, salmon and in some fortified eggs and juice. Fiber – in addition to preventing constipation it helps lower blood cholesterol, controls blood sugar levels and may also help prevent and treat a variety of diseases and conditions, including heart disease, cancer, diabetes and obesity. Good amounts of fibre is found in peas, apples, pears, grains, barely, and beans. If you have healthy fruit and vegetable eaters but they don’t like fish, then perhaps just an Omega 3 supplement is what is right for your family. Talk to your family doctor to determine if you or your kids need to take a multi vitamin. They will review your typical weekly meal plan to determine what nutrients may be lacking and then look to increase those foods in your diet, or consider a supplement. Remember, it’s the nutrients we need and not artificial colouring, flavours or sweeteners. Read the label carefully for the medicinal and non-medicinal ingredients and choose one that is specially formulated to meet your needs. Good nutrition for all ages starts with serving a wide variety of whole, fresh foods as much as possible. A good multivitamin acts like a back up plan and is a great way to enhance a balanced, healthy diet – not replace it. Including a daily multivitamin alongside fruits and vegetables will help to ensure your family gets all of the vitamins they need to be healthy and active!